Time for another corvo mask give away from Dishonored. Giving everyone another chance at one since I had an extra. To enter just tell me the game or system you are looking forward to this year. Only one comment per person please and leave your email or Gamertag so I can send you code if you win. I will pick a winner March 6th at 5:00 p.m. EST. Thanks and hope you win. Good Luck! EDIT: Elementos won thanks everyone for entering and visiting site. I'm pretty excited for Tomb Raider and Assassin's Creed IV: Black Flag, plus I can't wait to get more info on the next gen consoles! The Last of Us. I'll admit I'm a Naughty Dog fanboy, and I can't wait for that game! My gamertag is Elementos. Looking forward to the new Tomb Raider. 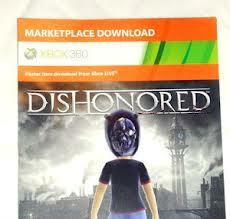 Just bought Dishonored, so the mask would be awesome. Thanks. Bioshock Infinite is my pick, mostly because i've been waiting for since 2011.